The result was that Divali being a sacred and religious festival marked by the intensity of two weeks of pre-Divali nation-wide observances was used not only to derive political advantage by the three main parties but also regrettably and overtly to promote the electoral prospects of their three contending candidates. The importance of undiluted and sustained media coverage of the celebrations in consolidating the national character of Divali cannot be over-emphasized. This coverage was diverted by the frenetic and competing campaigning. It also provided an opportunity for the politicization of the sacred festival to be used as a platform to launch and promote the several candidacies. On Thursday 31 October I witnessed media coverage of the events of Divali Nagar playing second fiddle to the PNM’s function at St. Joseph. People were attending the political meetings rather than the village celebrations impelled by the need to demonstrate political solidarity. Their attachment to and patronage of the Festival was diluted. It therefore lost its intensity and appeal owing to the well-known nature of rented crowds/compulsory attendance at political meetings. On Friday night while the cultural climax with the Prime Minister in attendance was taking place at the Nagar channels 3 and 5 were broadcasting the PNM’s political meeting and giving the wrong message on Divali.The UNC was politicizing Divali at Aranguez Park under the patronage of the Ian Alleyne with the PM as the main celebrant. One could not help observing that the divali functions arranged by the UNC, the PNM and the ILP had as their overriding concern and emphasis the need to attract disguised and subliminal political support rather than emphasizing exclusively the national character of the Festival, its deeply sacred and spiritual significance, its rich meaningful symbolism and the sincere and undiluted endorsement of the popular event. On the night of Friday 1 November, Channel 3 also broadcast the documentary of the candidacy of Mr. Om Lalla during prime time. It is of no consequence that these electioneering activities had a break on Divali day. By then the choreographed damage had already been done to the most important national festival. 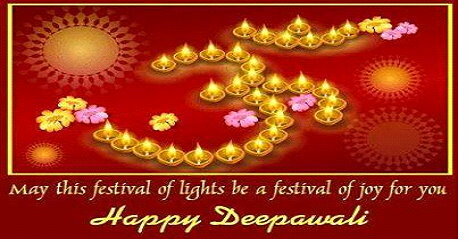 Given the spiritual nature of the Festival of Lights with a variety of pre-Divali hype and public celebrations there must not be any other major activity at this period that can serve to diminish participation, reduce the impact of this Festival, leave a feeling of dissatisfaction among the celebrants, take away from the critical media coverage and create the opportunity for this sacred national festival to be exploited politically.